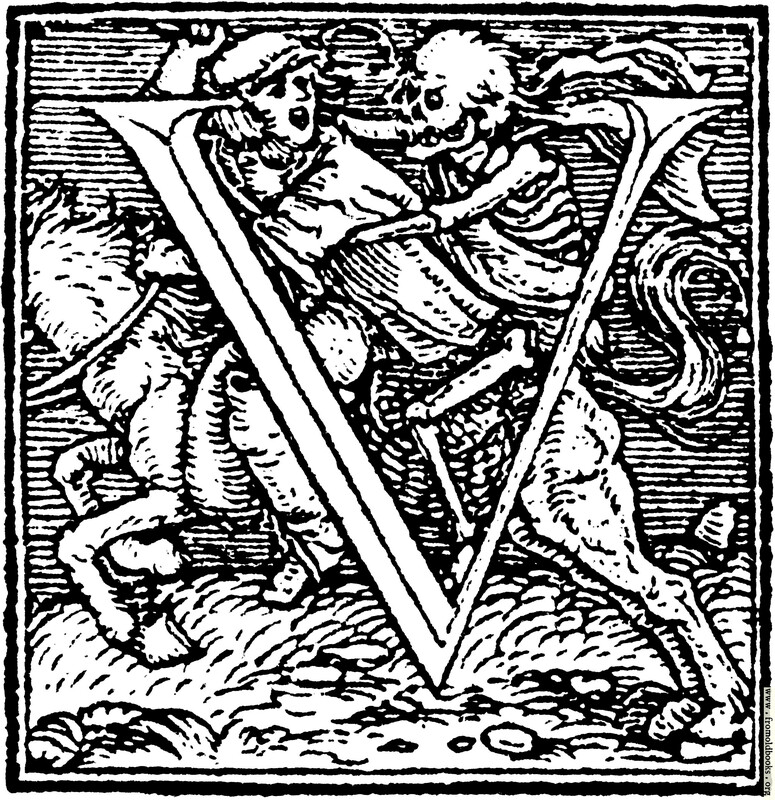 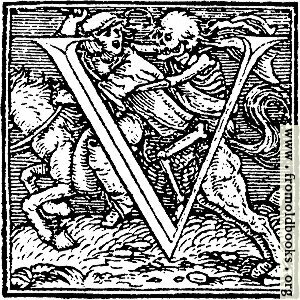 This decorative initial letter “U” or “V”, or drop cap, is from an alphabet designed by Hans Holbein and dating from 1523. It shows a man on horseback siezed by Death from behind as he tries to escape. 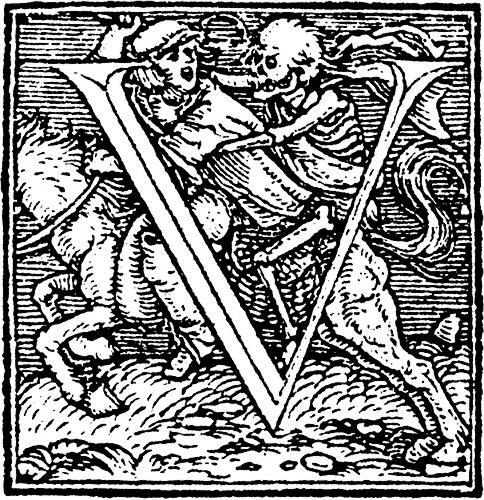 The same image serves as both U and V, as was common at that time.